In 2005, the Centers for Medicare & Medicaid Services (CMS) conducted a 1-year demonstration project for cancer patients undergoing chemotherapy. CMS provided payment of $130 per encounter to clinics that reported data on patient-reported outcomes including pain, nausea and vomiting and fatigue. CMS has identified codes to provide reimbursement for supportive care. Extending this financial incentive into survivor care could significantly improve recognition and potential service delivery. Providing quality care, including symptom management, is highly valued by oncology providers.149,219-221 The recent Institute of Medicine (IOM) report aims to raise awareness of the medical, function, and psychosocial consequences of cancer and cancer treatment and identify strategies for the provision of quality health care. The routine measurement of HRQL in clinical practice has the potential to improve health care for survivors by identifying areas most impacted by long-term sequelae of cancer and its treatment thus systematically identifying areas for intervention. The section below written by a cancer survivor illustrates some of the frustrations with inadequate long-term care and the potential benefits of systematic HRQL assessment throughout survivorship. Patients have a difficult time discussing symptoms with their physicians. They may lack the language to explain what they are feeling and what the symptoms may signal to the patient—the individual's context. 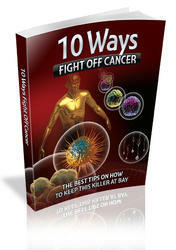 Many patients see every symptom as an indication their cancer has returned or worsened. This scares them, so they either deny the symptom or experience distress. Neither response leads to effective communication between and patient and their clinical team. Patients are not always completely honest with their physicians. They want their physicians to see them as "good patients." Their concern is that bad patients will not get good care. Good patients don't complain. Good patients look healthy, as if they are responding to treatment. Some of my female friends, who had metastatic disease, told me they made sure they put on make-up and took extra care with how they looked when they went to see their physician so he/she would see them as worth saving. They wanted to be given the latest treatments. They didn't want their physicians to give up on them. Consequently, clinicians may underestimate the presence and severity of patients' symptoms. For these reasons, patient-reported measurements of symptoms and health-related quality of life are crucial to good patient-physician communication and adequate health care for survivors. The act of systematically assessing the patient through self-report measures opens the lines ofcommunication. Patient-reported measurements validate the importance of patients communicating their symptoms to their physicians and use patient experiences to be the source of data. This engages the patient in the process and makes them feel that they are part of the health care team not the objectified, disembodied malignant breast, colon or lung. It provides important information to the physician and may forestall a trip to the emergency room because of serious or life-threatening side effects of treatment or disease. It may prevent the development of a long-term side effect the individual may live with for 10 or 20 years after treatment. Having a tool (i.e., self-report questionnaire) to allow the conversation about symptoms and health-related quality of life to be initiated between the patient and the physician makes the discussion about symptoms an integral part of the patient's treatment. Answering the questions through a patient-focused discussion of their quality of life makes the patient the center of the discussion. The discussion no longer is about "patients with your diagnosis or treatment" but about you and your symptoms and quality of life. Including social and emotional well-being in the patient/physician communication expands the conversation to a desire to make the patient whole, not just disease-free. It makes participating in the discussion part of being that "good patient."